Panic! 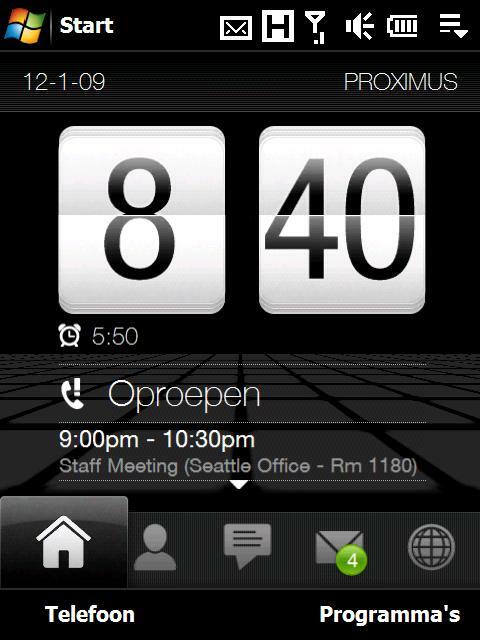 There is a meeting showing up in my HTC’s Today screen, but I was not expecting it. It seems to be a staff meeting. Room 1180 it says, but there is no room 1180 in this building and I’m not in Seattle at all! But what’s that meeting room doing in my calendar? I didn’t put it in there. Let’s google:Staff Meeting (Seattle Office – Rm 1180). Some people say you should do a hard reset, but according to me this makes no sense. The first thing I did when I got the phone was updating the firmware with a new official ROM. This meeting must be present in that ROM and a hard reset won’t make it disappear. Apparently there is also another phantom meeting, but I haven’t seen that one yet. I think I’m not going to do anything about it. After a day I disappears by itself. I can live with that. don\’t know why it\’s there in the first place!! !